I recently walked past a broken full-length mirror on the sidewalk in my Bushwick neighborhood, but the image it made was so compelling I had to go back and study it. The patterns of the broken glass and the refracted light captivated me so completely that I couldn’t move. There is something about the individual pieces of a broken mirror that make for a wild experience from another dimension. You’re in the reflection, but also not quite yourself. What you’re seeing is a reflected warped view; while your eyes see the world correctly, the broken mirror sees something else entirely; bits of shattered sky, bits of concrete, the color of your hair, your dress, the car you’re leaning against. It’s all there and it’s all blurred together. It’s a confounding image because you and the sky are in the same space, occupying each other’s territory. This broken mirror in particular was so beautiful it almost broke my heart to leave it on the street, an accidental piece of art, a gateway to another dimension, waiting sadly for the sanitation department. In many cities and areas the world over, we are bombarded with accidental art but for those of us in New York City, we have that, plus the honor of viewing public art everywhere, street art, murals, popular museums – we are so lucky to experience this embarrassment of riches. Art is everywhere, even in our garbage. But what about art that cements your feet in another dimension and makes you see the world differently? What about art that connects the future and past together? Modern art that also is personal and classical and gasp, ornate and aesthetically pleasing?! 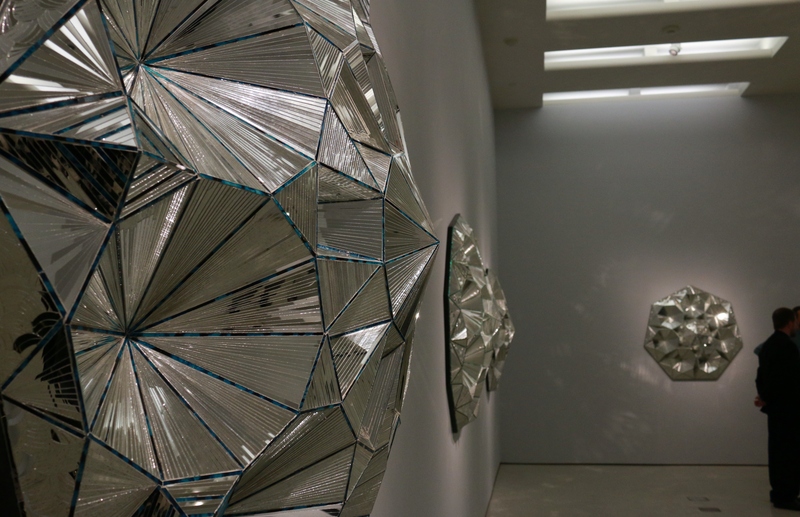 The much-celebrated Iranian artist, Monir Shahroudy Farmanfarmaian is being honored with her first comprehensive exhibition in the United States, at The Guggenheim Museum, on view from March 13-June 3, 2015. 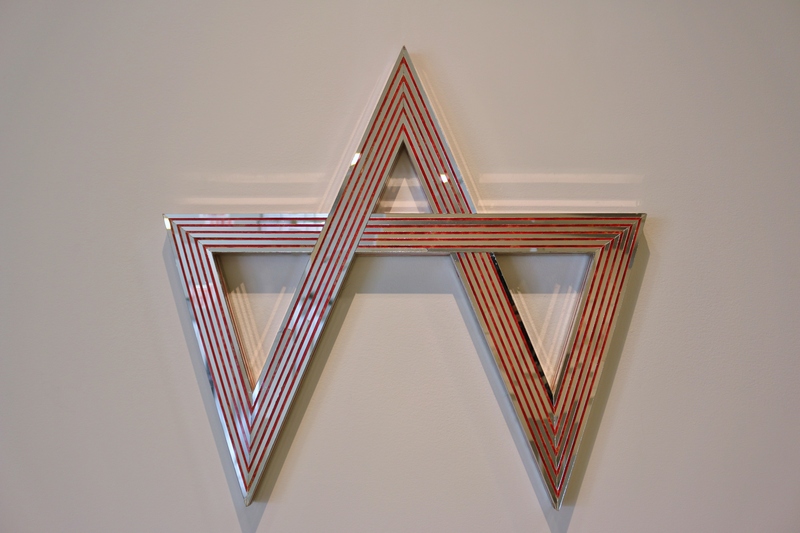 Her art encompasses the allusive ideal; modern and ornate, bringing together two or three different ideas, epochs and styles to make lavish and beautiful geometric shapes and sculptures. 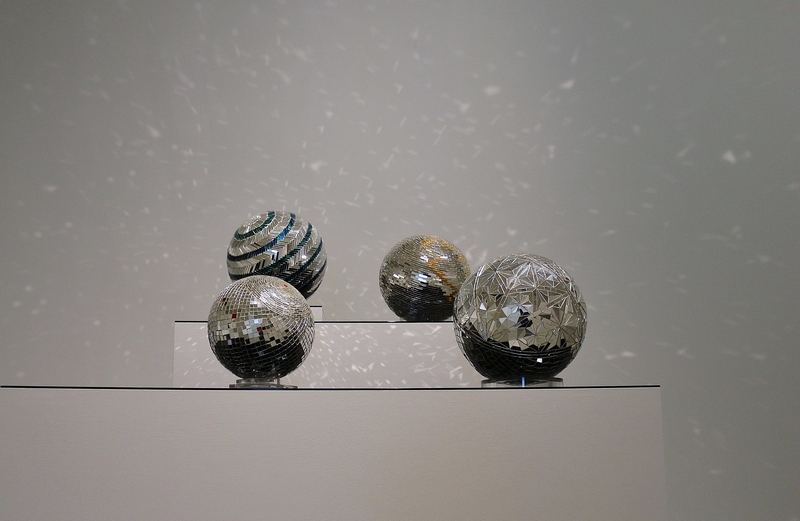 The exhibition brings together a lifetime of intricate, dazzling mirrored pieces and sculptures that have been created over her extensive career of more than 40 years. 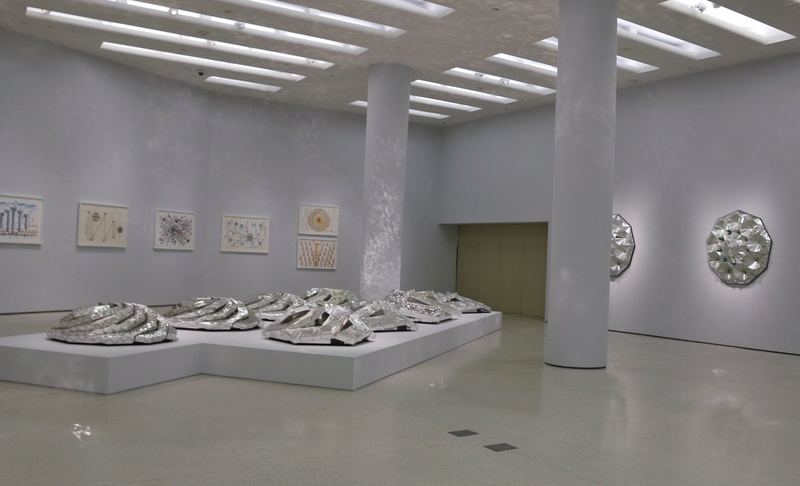 The Guggenheim is a fitting place; she used to go there when it was still awkwardly called the Museum of Non-Objective Painting, and she was there for the opening of the newer iteration on Fifth Avenue we know as the Frank Lloyd Wright-designed Guggenheim Museum. 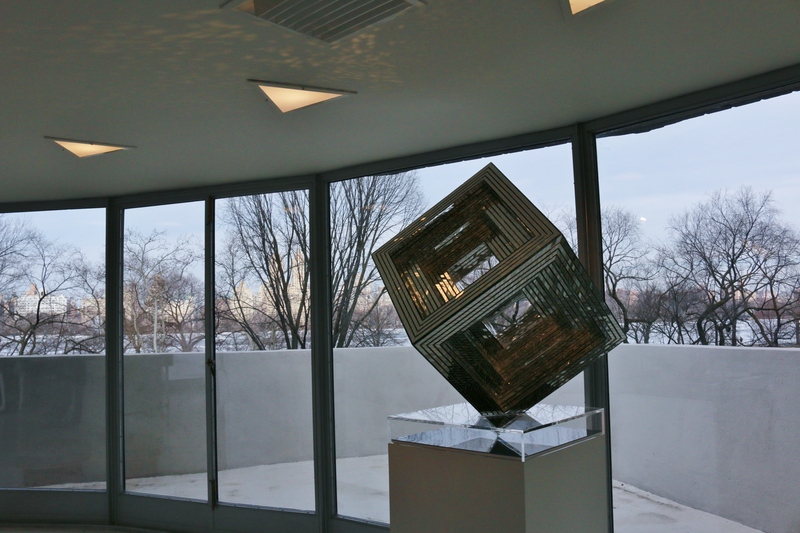 Monir Farmanfarmaian was born in 1924 in Qazvin, Iran, and moved to New York in 1945 after attending the Fine Arts College of Tehran. 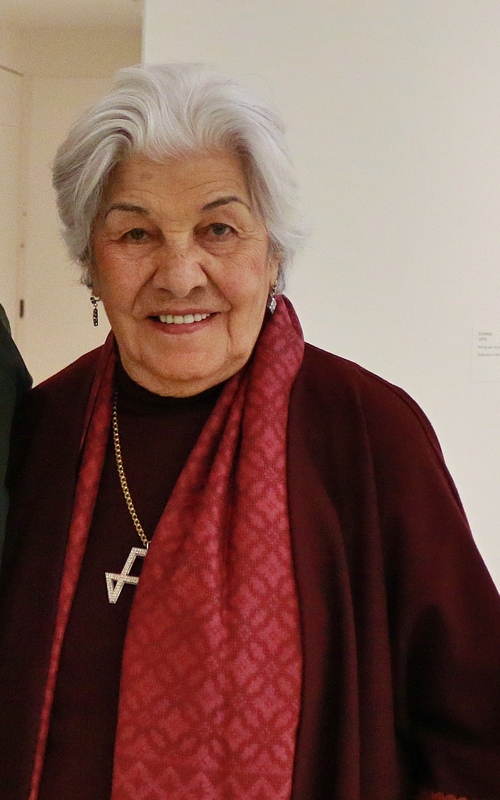 While in New York, she studied at Cornell University and Parson School of Design, and kept company with fellow artistic luminaries of the time; Willem de Kooning, Joan Mitchell, Louise Nevelson, Milton Avery and later Andy Warhol. 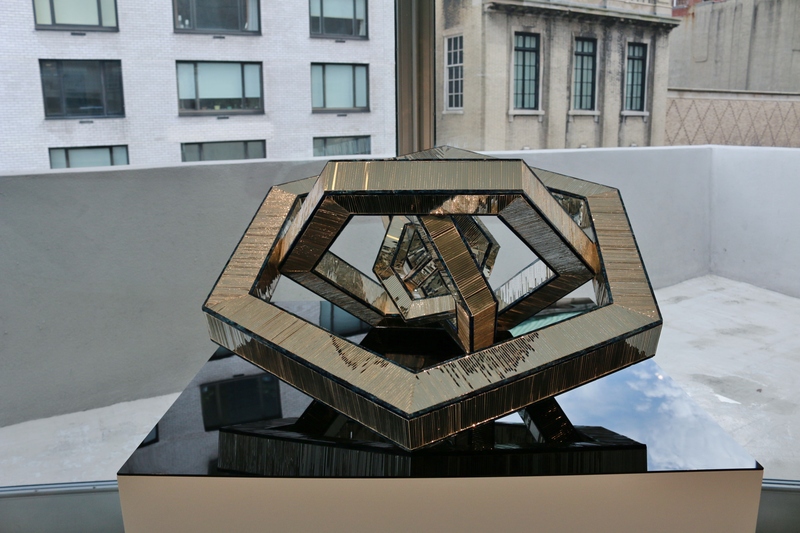 She is famous for her geometric mirror sculptures, but her intricate work explores history and culture, the artistry of Turkoman jewelry, as well as reverse-glass painting. 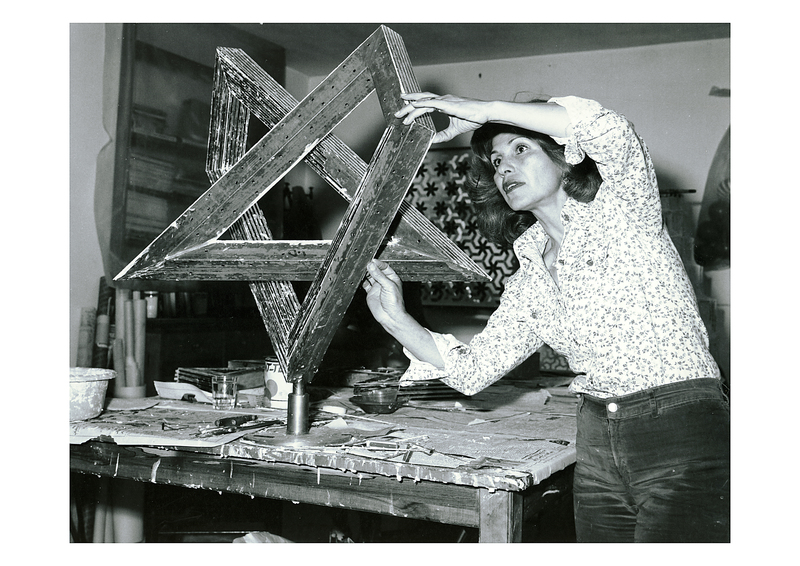 In 1957, Monir Farmanfarmaian traveled back to Iran, to develop her craftsmanship. She worked in Iran until the Iranian Revolution of 1979, from which she was exiled in New York until 2004, when she was able to return home. 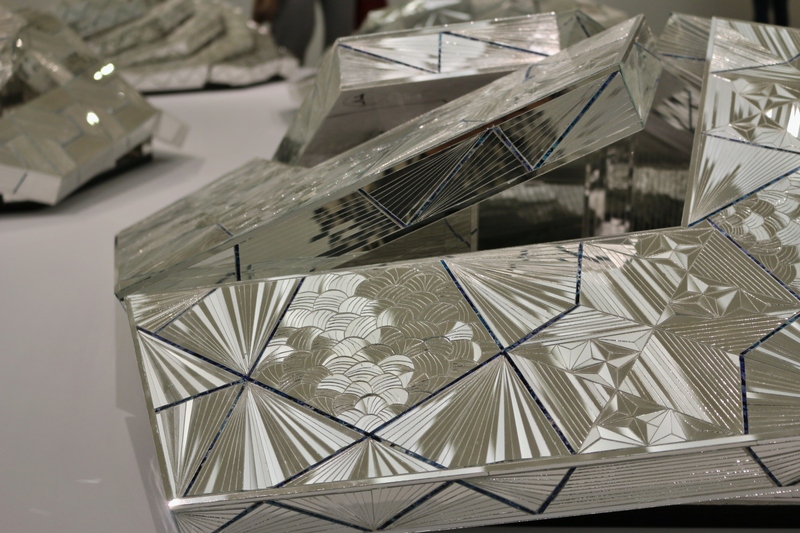 Directed by Bahman Kiarostami and produced by Leyla Fakhr, the 2014 documentary Monir looks at the life and work of Iranian artist Monir Shahroudy Farmanfarmaian, who first garnered attention in the 1970s for pioneering new forms of geometric mirror works. Providing a close-up view of a career marked by political change in her home country and abroad, the film also traces an artistic rebirth sparked by her return to Tehran after an absence of twenty-five years. Free with museum admission. For more information, visit guggenheim.org/filmscreenings.